Hi everyone, sorry for the delay! It is still Sunday for a few more minutes at least here in the midwest. This week's challenge is: Enough of Winter Colors. Yes, this is a color challenge, but the twist is that you can use any NON winter combinations.. have fun and link us DIRECTLY to your project post in Mr. Linky... and now the amazing samples of the DT. Pile it On: No more Winter colors. A Spoonfull of Sugar: Freestyle. No Time to Stamp? : Red and Heart. Handfull of Stamps: I Give You My Heart. Die Cuts R Us: Ribbon. 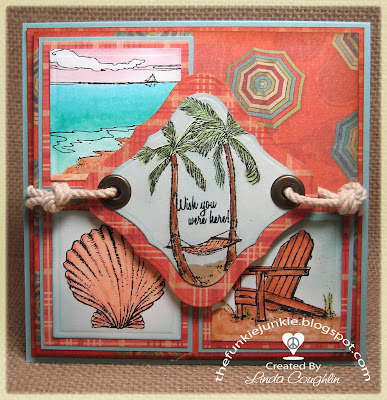 Stamp,Scrap and Doodle Saturdays: Open. 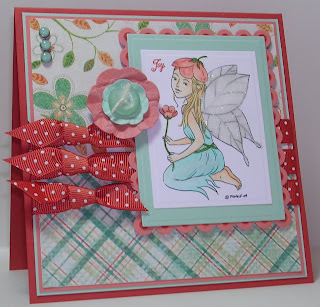 Pixie Cottage: Pink and Red. 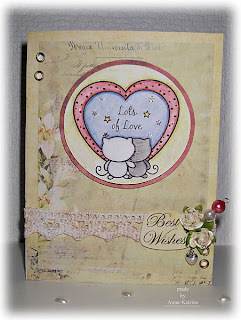 Fussy and Fancy Friday: Hearts. 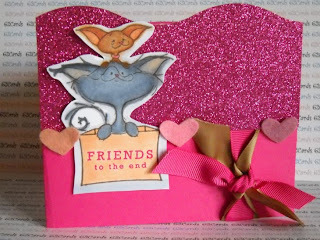 Secret Crafter Saturday : Hearts. Saturday Spotlight: Bigger is Better. Creative Card Crew: Punch it. 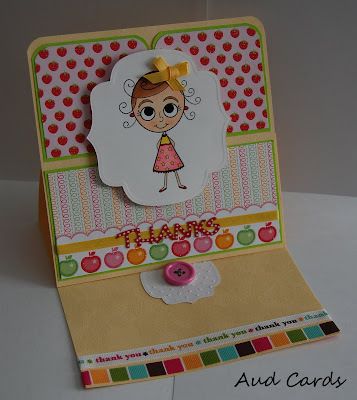 scrappylife: so cute i'm hoarding it! Hi, I hope everyone has had a wonderful week, filled with joy and happiness. 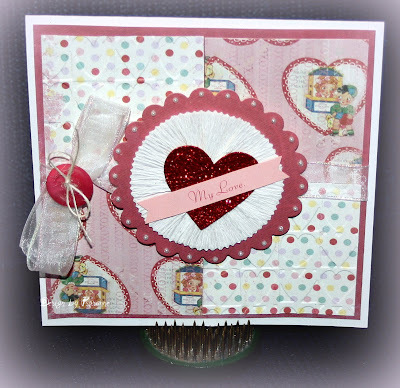 I created a card with the theme: love/valentine for the warm wishes challenge. 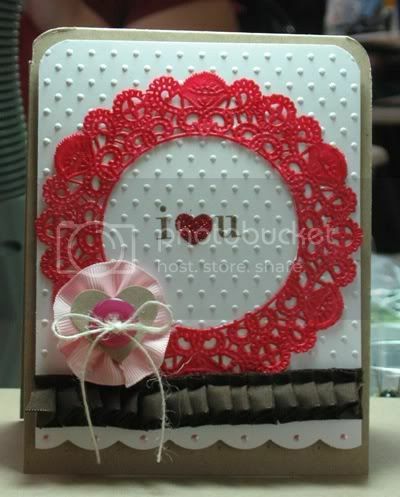 I will be giving it to my hubby along with a matchbookalbum (I will put the front of it up on my blog tomorrow). 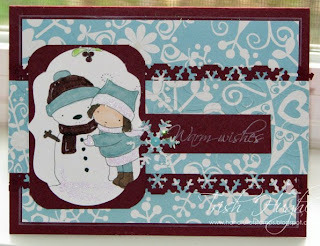 The supplies I used for this card, is up on my blog. Every week it is harder and harder to pick our TOP 3, this week was no exception... so we have 4... LOL!!!! Here are the TOP 3 Scoops (remember to grab your linkie from the side frame). 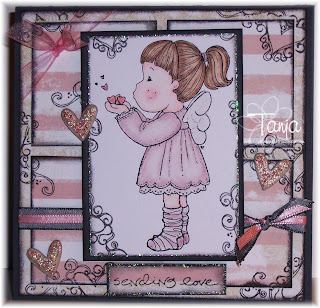 Avina - Crafting in a crazy world. Hi everyone! Ready for one more week of "Pile It On! ", we are ready for you. 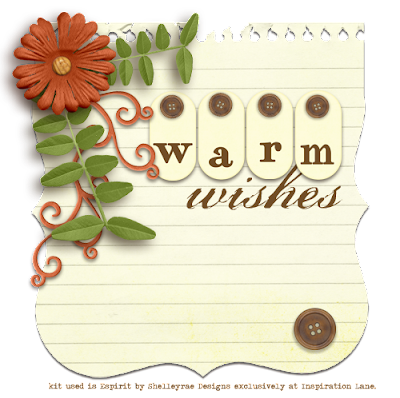 This week's challenge is "Warm Wishes", you can interpret this many many ways... you could think of warm days in the sun, or of nice hot cocoas to warm your heart... or you could even go w/ "warm" colors... let your imagination run and have fun. Remember to leave us a DIRECT link to your projects in Mr. Linky. 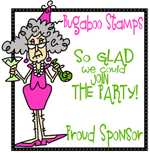 Your Next Stamp- Anything that sparkles! Colour Create-Kraft, Blue, White and Texture! 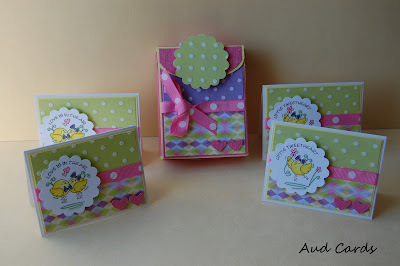 Ooh La La - "Create a Scene"
Creative Card Crew - "Punch It"
Simon Says Stamp -"Punch It"
Hi Anne-Katrine here to show you my card for this week challenge. I'm a Guest DT for this month and for February, something I'm very happy about. I will post my card on Thursdays. First I can tell a little bit about me. I'm 34 years old, live in Norway together with my husband, son and kitty. 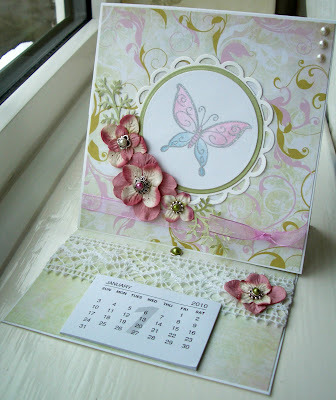 I started with paperscrapbooking in 2004, digitalscrapbooking in 2007 and cardmaking in 2007 too. Now I have started to do hybrids too, it's so fun to work with both my hobbies together. I have a blog here: love to create. Where I showcase my hybrid- and cardprojects. I wish you some wonderful and happy scrapping days rest of the week. I want to say that I loved all the different takes you ladies gave us w/ Challenge #2. Here are the TOP 3 Scoops (remember to grab your linkie from the side frame). Hi everyone this year you will see a few changes. TOP 3 Scoops will be announced on Tuesday. Our wonderful Guest DTs will be inspiring you on Thursday. 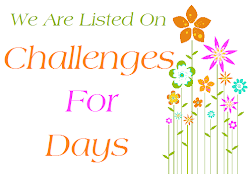 You will see a change in our look pretty soon, but that is about the changes we will do to our blog challenge. A now onto this week's challenge! This week is all about ribbon, all you have to do is to use AT LEAST 3 ribbons in your project and of course pile at least one more challenge into it too! Link us DIRECTLY to your project using Mr. Linky that is at the bottom of the post. Please now enjoy our wonderful DT's samples!!!! Pile it On: Tie it around. Colour Q: Basic Gray, Pumpkin Pie, Barely Banana, Certainly Celery,White. Tuesday Morning Sketches: Buttons & Bows. Inspire Me #5: One Man's Trash. 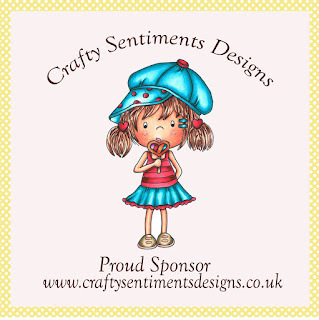 Incy Wincy Designs: Sweet Treats. 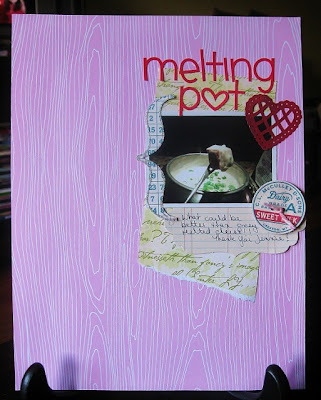 Your Next Stamp Challenge: Embossing. 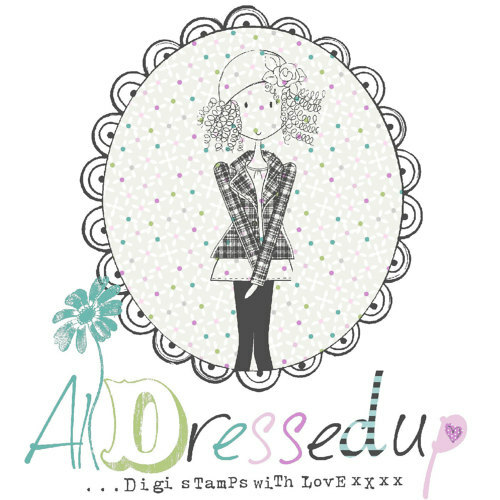 Digital Tuesday Challenge: Emboss it. Little Red Wagon: Polka Dots. 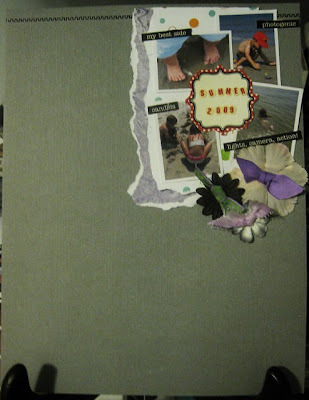 Crafty Catz: A Birthday card. 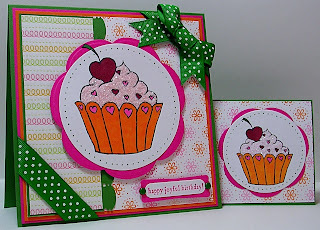 Cupcake Craft Challenges: Going Girly. Sew Many Challenges: Anything goes..
Creative Belli : Glitter OR Rhinestones. 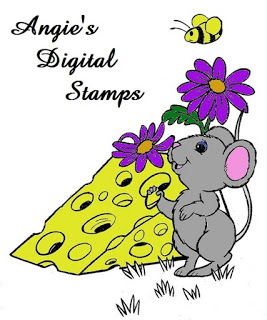 Hand Full of Stamps: Polka Dots. 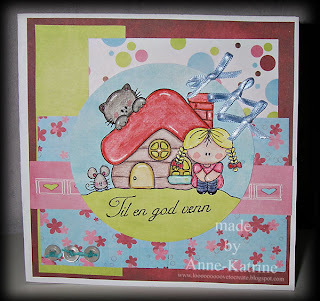 Pile It On "Tie It On"
Digital Tuesday #41 "Emboss It"
ABC "L is for Layering..."
Little Red Wagon #11 "Polka Dots"
Your Next Stamp #7 "Embossing"
Dare U 2 Digi Stamp #29 "Buttons"
Sew Many Cards #1 "Anything Goes"
Pile It On Challenge #2 "Tie It Around It"
Digital Tuesday Challenge #41 "Emboss It"
Cupcake Craft Challenge #73 "Going Girly"
Creative Inspirations Challenge #43 "New Year, New Products"
There She Goes Challenge #37 "Embellish x3"
Flutterby Wednesday's Challenge #92 "Anything butterfly, angel or fairy"
Your Next Stamp Challenge #7 "Embossing"
Phindy's Place Challenge #3 "Something New & Different"
Please help me welcome the new Pile It On! Design Team!!!! And you might notice some familiar names and blogs, that is because some of our very talented girls decided they wished to continue with Pile It On! for a little longer. I am working on the announcement of the Guest DTs... coming really soon!! Ladies, grab the blinkie from the side and wear it proud! Emma for the super duper card. Alison for this super duper sweet card. 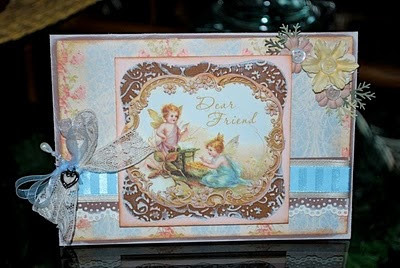 Amy for this card... that I just adore!!! !